The Federal Trade Commission (FTC) issued the amended Telemarketing Sales Rule (TSR) on January 29, 2003. Like the original TSR issued in 1995, the amended Rule gives effect to the Telemarketing and Consumer Fraud and Abuse Prevention Act. This legislation gives the FTC and state attorneys general law enforcement tools to combat telemarketing fraud, give consumers added privacy protections and defenses against unscrupulous telemarketers, and help consumers tell the difference between fraudulent and legitimate telemarketing. One significant amendment to the TSR prohibits calling consumers who have put their phone numbers on the National Do Not Call Registry. Another change covers the solicitation of charitable contributions by for-profit telemarketers. Many states also have laws regulating telemarketing. The FTC and the FCC are working with states to harmonize Do Not Call requirements at state and federal levels for a unified national system enabling “one-stop” service for consumers, as well as businesses seeking to comply with the requirements. For information about a particular state’s laws, contact the state attorney general’s office or another state consumer protection agency. If your telemarketing campaigns involve any calls across state lines—whether you make outbound calls or receive calls in response to advertising— you may be subject to the TSR’s provisions. This guide describes the types of organizations and activities that are subject to the TSR and explains how to comply. It is the FTC staff ’s view of the law’s requirements and is not binding on the Commission. supplements the company-specific Do Not Call provision of the original Rule with new provisions based on a National Do Not Call Registry. creates an “established business relationship” exception to the National Do Not Call provisions so that a company may call a consumer with whom it has such a relationship, even if the consumer’s number is on the Registry. allows a company to call a consumer who has given the company express written permission to call, even if the consumer’s number is on the Registry. prohibits denying or interfering with a consumer’s Do Not Call request. prohibits misuse of Do Not Call lists. covers charitable solicitations placed by for-profit telefunders. The National Do Not Call Registry provisions do not apply to for-profit telefunders; rather, for-profit telefunders must keep their own Do Not Call lists and honor donors’ requests not to be called. requires sellers and telemarketers to obtain express verifiable authorization when payment is made by methods other than credit card or debit card, and limits the use of the written confirmation method. requires sellers and telemarketers offering credit card loss protection plans to disclose specific information. prohibits misrepresentations in the sale of credit card loss protection plans. requires sellers and telemarketers making an offer that involves a negative option feature to disclose specific information. prohibits misrepresentations about negative options. specifies that all required disclosures be made truthfully. requires additional disclosures for prize promotions. prohibits disclosing or receiving, for consideration, unencrypted consumer account numbers. requires sellers and telemarketers to get a consumer’s express informed consent before submitting the consumer’s billing information for payment. sets out guidelines for what constitutes evidence of express informed consent in transactions involving “pre-acquired account information” and “free-to-pay conversion” offers. requires telemarketers, for purposes of Caller ID, to transmit the telephone number, and, when made available by the telemarketer’s telephone company, the telemarketer’s name. prohibits telemarketers from abandoning any outbound telephone call, subject to a safe harbor. requires telemarketers and sellers to maintain records of express informed consent and express agreement. clarifies that facsimile transmissions, electronic mail, and similar methods of delivery are direct mail for purposes of the direct mail exemption. The USA PATRIOT Act, passed in 2001, brought charitable solicitations by for-profit telemarketers within the scope of the TSR. As a result, most of the TSR’s provisions now are applicable to “telefunders”—telemarketers who solicit charitable contributions. make certain prompt disclosures in every outbound call. comply with the entity-specific Do Not Call requirements, but are exempt from the National Do Not Call Registry provision. making a false or misleading statement to induce a charitable contribution. making any of several specific prohibited misrepresentations. engaging in credit card laundering. engaging in acts defined as abusive under the TSR, such as calling before 8 a.m. or after 9 p.m., disclosing or receiving consumers’ unencrypted account information, and denying or interfering with a consumer’s right to be placed on a Do Not Call list. Certain sections of the Rule apply to individuals or companies other than “sellers” or “telemarketers” if these individuals or companies provide substantial assistance or support to sellers or telemarketers. The Rule also applies to individuals or companies that provide telemarketers with unauthorized access to the credit card system. common carriers—such as long-distance telephone companies and airlines—when they are engaging in common carrier activity. non-profit organizations—those entities that are not organized to carry on business for their own, or their members’, profit. These types of entities are not covered by the Rule because they are specifically exempt from the FTC’s jurisdiction. Nevertheless, any other individual or company that contracts with one of these three types of entities to provide telemarketing services must comply with the Rule. A nonbank company that contracts with a bank to provide telemarketing services on the bank’s behalf is covered. A non-airline company that contracts with an airline to provide telemarketing services on behalf of the airline is covered. A company that is acting for profit is covered by the Rule if it solicits charitable contributions on behalf of a non-profit organization. Keep in mind that a company soliciting a charitable contribution is not required to comply with the Rule’s National Do Not Call Registry provisions. Under the provisions of the Telemarketing Act, a number of entities and individuals associated with them that sell investments and are subject to the jurisdiction of the Securities and Exchange Commission or the Commodity Futures Trading Commission are not covered by the Rule, even if they engage in a plan, program, or campaign to sell through interstate telephone calls. These entities and individuals are covered by the FCC’s telemarketing rules. For more information, visit www.fcc.gov. enforcement of the TSR would conflict with, and effectively supersede, those state regulations. Unlike the jurisdictional exemptions for banks and non-profit organizations, which do not extend to third-party telemarketers making calls on their behalf, in the case of the telemarketing of insurance products and services, the TSR does not necessarily apply simply because the campaign is conducted by a third-party telemarketer. calls placed by consumers in response to a catalog. business-to-business calls that do not involve retail sales of nondurable office or cleaning supplies. make hotel, airline, car rental, or similar reservations. place carry-out or restaurant delivery orders. obtain information or technical support. Upsells: If a seller or telemarketer “upsells” a consumer during an unsolicited call initiated by the consumer, the upsell is covered by the Rule. the catalog seller doesn’t solicit consumers by telephone, but only receives calls initiated by consumers in response to the catalog, and during the calls, only accepts orders without additional solicitation. The catalog seller may provide the consumer with information about—or attempt to sell the consumer— other items in the same catalog that prompted the consumer’s call or in a similar catalog. If a telemarketer offers goods or services that are not in the catalog that prompted the consumer’s call—or in a substantially similar catalog—the sales transaction is covered by the Rule. Regardless of the TSR’s application to a particular sale, catalog merchandise sales also are covered by the FTC’s Mail or Telephone Order Merchandise Rule (16 C.F.R. Part 435). Most phone calls between a telemarketer and a business are exempt from the Rule. But business-to-business calls to induce the retail sale of nondurable office or cleaning supplies are covered. Examples of nondurable office or cleaning supplies include paper, pencils, solvents, copying machine toner, and ink—in short, anything that, when used, is depleted, and must be replaced. Such goods as software, computer disks, copiers, computers, mops, and buckets are considered durable because they can be used again. Although sellers and telemarketers involved in telemarketing sales to businesses of nondurable office or cleaning supplies must comply with the Rule’s requirements and prohibitions, the Rule specifically exempts them from the recordkeeping requirements and from the National Do Not Call Registry provisions. These sellers and telemarketers do not have to create or keep any particular records, or purge numbers on the National Do Not Call Registry from their call lists to comply with the Rule. Direct mail advertising includes, but is not limited to, postcards, flyers, door hangers, brochures, “certificates,” letters, email, facsimile transmissions, or similar methods of delivery sent to someone urging a call to a specified telephone number regarding an offer of some sort. For purposes of the Rule, “direct mail” is not limited to messages sent via conventional mail delivery or private couriers. The exemption for calls responding to direct mail advertising that meets the Rule’s requirements is available both to telemarketers soliciting sales of goods or services and to telefunders soliciting charitable contributions. Sales solicitations: Generally, consumer calls in response to a direct mail solicitation that clearly, conspicuously, and truthfully makes the disclosures required by the Rule are exempt from the Rule. These disclosures are: cost and quantity; material restrictions, limitations or conditions; any “no-refund” policy; and, if the offer includes a prize promotion, credit card loss protection, or a negative option feature, the information about any of those elements of the offer required by the Rule. If you are a seller or telemarketer who uses direct mail, you may use this exemption only if your direct mail solicitation messages make the disclosures required by Section 310.3(a)(1) of the Rule clearly, conspicuously, and truthfully. Charitable solicitations: Consumer calls in response to direct mail messages that solicit charitable contributions benefit from the limited direct mail exemption, provided they contain no material misrepresentation about the nature, purpose, or mission of the entity on whose behalf the contribution is requested; the tax deductibility of any contribution; the purpose for which the contribution will be used; the percentage or amount of the contribution that will go to a charitable organization or program; any material aspect of a prize promotion; or a charitable organization or telemarketer’s affiliations, endorsements, or sponsorships. The exemption is for sales calls elicited by direct mail advertising that truthfully provides a consumer with the specific information required under the Rule. In the case of charitable solicitation calls elicited by direct mail advertising, the exemption applies to direct mail advertising that conscientiously avoids the prohibited misrepresentations. There is no exemption for calls responding to any direct mail advertising that relates to credit card loss protection, credit repair, recovery services, advance-fee loans, investment opportunities, prize promotions, or business opportunities other than those covered by the Franchise Rule. This is regardless of whether the advertisement makes the disclosures required by the Rule and contains no misrepresentations. Also, any instances of upselling following an exempt transaction are covered by the Rule. “Upselling” is not exempt. Upselling occurs when a seller or telemarketer tries to sell additional goods or services during a single phone call, after an initial transaction. Upsell transactions are covered by the TSR. Even if the initial transaction is exempt because it is an unsolicited call from a consumer, a response to a general media advertisement or certain direct mail solicitations, or an outbound non-sales call (say, a customer service call), any upsell following the initial transaction is subject to all relevant provisions of the Rule. A consumer calls a department store to inquire about the price of a microwave oven. Because the call is not the result of a solicitation by the seller, the initial inquiry is exempt from the Rule. If the seller tries to upsell a refrigerator during the same call, the upsell transaction is subject to the Rule. A consumer calls in response to an infomercial advertising a home gym product for sale. If the home gym product is the only item offered during the call, the call is exempt. But if the telemarketer offers a free-trial offer to a cookbook series after the sales pitch for the home gym, the cookbook offer constitutes a separate transaction and is an upsell covered by the TSR. If both the home gym product and the cookbook series are prominently featured in the general media advertisement, transactions involving either or both products fall within the general media exemption. But if the cookbook is visible on the set of the infomercial, mentioned only in passing, or mentioned as an afterthought, pitching the cookbook during the a consumer’s call about the home gym product is considered an upsell and is not exempt from the Rule. calls relating to the sale of 900-Number pay-per-call services. calls relating to the sale of franchises or certain business opportunities. 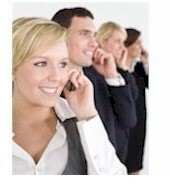 calls that are part of a transaction that involves a face-to-face sales presentation. call any number on the National Do Not Call Registry or on that seller’s Do Not Call list. deny or interfere with a person’s right to be placed on any Do Not Call Registry. call outside permissible calling hours. fail to transmit Caller ID information. threaten or intimidate a consumer or use obscene language. cause any telephone to ring or engage a person in conversation with the intent to annoy, abuse, or harass the person called. 900-Number Rule (16 C.F. R. Part 308). call numbers that are on the National Do Not Call Registry or on that seller’s Do Not Call list. Partial coverage under the TSR does not affect the obligation of franchisors to comply with the Franchise Rule. The TSR generally does not cover telephone transactions where the sale of goods or services or a charitable contribution is not completed until after a face-to-face presentation by the seller or charitable organization, and the consumer is not required to pay or authorize payment until then. This exemption is for transactions that begin with a face-to-face sales presentation and are completed in a telephone call, as well as those that begin with a telephone call and are completed in a face-to-face sales presentation. The key to the face-to-face exemption is the direct and personal contact between the buyer and seller. The goal of the Rule is to protect consumers against deceptive or abusive practices that can arise when a consumer has no direct contact with an invisible and anonymous seller other than the telephone sales call. A face-to-face meeting provides the consumer with more information about—and direct contact with— the seller, and helps limit potential problems the Rule is designed to remedy. call numbers on the National Do Not Call Registry or on that seller’s Do Not Call list. If the transaction is completed in a face-to-face meeting at the consumer’s home or away from the seller’s place of business, the seller must comply with the FTC’s Cooling Off Rule (16 C.F.R. Part 429). The Rule requires sellers and telemarketers, whether making outbound calls to consumers or receiving inbound calls from consumers, to provide certain material information before the consumer pays for the goods or services that are the subject of the sales offer. Material information is information that would likely affect a person’s choice of goods or services or the person’s decision to make a charitable contribution. More simply, it is information a consumer needs to make an informed decision about whether to purchase goods or services or make a donation. Sellers and telemarketers may provide the material information either orally or in writing. Failure to provide any of the required information truthfully and in a “clear and conspicuous” manner, before the consumer pays for the goods or services offered, is a deceptive telemarketing act or practice that violates the Rule and subjects a seller or telemarketer to a civil penalty of $11,000 for each violation. When making outbound calls, a telemarketer must promptly disclose certain types of information to consumers orally in the sales presentation. Before a Consumer Pays: Before sellers and telemarketers get a consumer’s consent to purchase—or persuade a consumer to send full or partial payment by check, money order, wire, cash, or any other means —they must provide the consumer with the information required by Section 310.3(a)(1) of the Rule. Sellers and telemarketers also must provide the required information before asking for any credit card, bank account, or other information that they will or could use to obtain payment. In addition, sellers and telemarketers must provide the required information before requesting, arranging for, or asking a consumer to request or arrange for a courier to pick up payment for the goods or services offered. Couriers include Federal Express, DHL, UPS, agents of the seller or telemarketer, or any other person who will go to a consumer’s home or other location to pick up payment for the goods or services being offered. When sellers and telemarketers have pre-acquired account information, they must provide the required disclosures before the customer provides express informed consent. Pre-acquired account information is any information that enables you to cause a charge against a consumer’s account without obtaining the account number directly from the consumer during the transaction for which the consumer will be charged. Clear and Conspicuous: Clear and conspicuous means that information is presented in a way that a consumer will notice and understand. The goal is that disclosures be communicated as effectively as the sales message. When written, clear and conspicuous information generally is printed in a type size that a consumer can readily see and understand; that has the same emphasis and degree of contrast with the background as the sales offer; and that is not buried on the back or bottom, or in unrelated information that a person wouldn’t think important enough to read. When a seller or telemarketer makes required disclosures in a written document that is sent to a consumer and follows up with an outbound sales call to the consumer, the disclosures are considered clear and conspicuous only if they are sent close enough in time to the call so that the consumer associates the call with the written disclosures.When disclosures are oral, clear and conspicuous means at an understandable speed and pace and in the same tone and volume as the sales offer. What Information Must Sellers and Telemarketers Provide to Consumers? information about the offered goods or services necessary to avoid misleading consumers. The term material means likely to affect someone’s choice of goods or services or decision to make a charitable contribution, or someone’s conduct with regard to a purchase or donation. Sometimes, though, the total cost and quantity are not fixed when the initial transaction takes place, but, instead, are determined over time. For example, in a negative option plan, like those offered by some record or book clubs, the consumer may agree to purchase a specific number of items over a specified time period. The consumer receives periodic announcements of the selections; each announcement describes the selection, which will be sent automatically and billed to the consumer unless the consumer tells the company not to send it. Similarly, a continuity plan offers subscriptions to collections of goods. During the course of the plan, the consumer can choose to purchase some or all the items offered in the collection. Consumers who agree to buy an introductory selection also agree to receive additional selections on a regular schedule until they cancel their subscription to the plan. Both negative option and continuity plans are structured to provide consumers the opportunity to purchase a series of products over time. The cost of the plan as a whole is determined by the number and type of items in the series the consumer decides to accept, and at the time of the initial sales offer, neither the seller nor the consumer necessarily knows how much product the consumer will purchase, or the total cost of the products. To comply with the Rule, a seller or telemarketer offering a negative option or a continuity plan must disclose the total costs and quantity of goods or services that are part of the initial offer; the total quantity of additional goods or services that a consumer must purchase over the duration of the plan; and the cost, or range of costs, to purchase each additional good or service separately. Some negative option plans are subject to the FTC’s Negative Option Rule. Cost and Quantity Disclosure in the Marketing of Credit Products: If sellers and telemarketers are offering credit products subject to the Truth in Lending Act (TILA) or Regulation Z, compliance with the credit disclosure requirements and the timing of the disclosures mandated by TILA or Regulation Z constitute compliance with the total cost and quantity disclosure requirements of the TSR with respect to the credit instrument. Nevertheless, the cost and quantity of any goods or services purchased with that credit also must be disclosed. a requirement that a consumer pay for offered goods or services by cashier’s check, money order, or in cash. in the case of an offer of a credit card, a requirement that a consumer make a deposit in order to receive and use the card offered (that is, that the credit card is a secured card). in the case of a vacation certificate, a restriction, limitation, or condition that prevents a purchaser from using the certificate during the summer; or that requires a purchaser to make reservations a year in advance to travel using the certificate; or that requires the consumer to incur expenses beyond the price of the certificate to redeem the certificate for a vacation. the underlying illegality of goods or services, such as the illegality of foreign lottery chances. Sellers and telemarketers may disclose orally or in writing information about material restrictions, limitations, or conditions to purchase, receive, or use the goods or services being offered, as long as the information is clear and conspicuous and disclosed before the consumer pays. telemarketers must disclose information about the policy only if they make a statement about the policy during the sales presentation. If the sales presentation includes a statement about such a policy, it must also include a clear and conspicuous disclosure of all terms and conditions of the policy that are likely to affect a consumer’s decision on whether to purchase the goods or services offered. If the seller’s policy is that “all sales are final” — that is, no refunds, cancellations of sales or orders, or exchanges or re-purchases are allowed —the Rule requires you to let consumers know before they pay for the goods or services being offered. You may give this information to consumers orally or in writing, and the information must be clear and conspicuous. A prize promotion includes (1) any sweepstakes or other game of chance, and (2) any representation that someone has won, has been selected to receive, or may be eligible to receive a prize or purported prize. A prize is anything offered and given to a consumer by chance. For the element of chance to be present, all that is necessary under the Rule is that the consumer is guaranteed to receive an item, and, at the time of the offer, the telemarketer does not identify the specific item that the person will receive. For example, say you send a solicitation promising recipients that they will receive one of four or five listed items but you do not tell recipients which of the listed items they will receive. In that case, any item the consumer receives is a prize, and the solicitation is a prize promotion. the odds of winning the prize(s). If the odds can’t be calculated in advance because they depend on the number of people who enter the promotion, for example, you must tell that to consumers, along with any other factors used to calculate the odds. disclose this information orally and promptly. A legitimate prize promotion does not require any purchase or payment of money for a consumer to participate or win. If a purchase or payment of money is required for eligibility for a prize, it is not a prize promotion; it is a lottery, which is generally unlawful under federal and state lottery laws. how they can enter the prize promotion without paying any money or purchasing any goods or services. This disclosure must include instructions on how to enter, or an address or local or toll-free telephone number where consumers can get the no-purchase/no-payment entry information. about any material costs or conditions to receive or redeem any prize. For example, if one of the offered prizes is a "vacation,” but the recipient must pay for her own accommodations, that’s a cost or condition that is likely to affect the consumer’s response to the offer and therefore, must be disclosed. A seller or telemarketer offering a credit card loss protection plan—one that claims to protect, insure, or otherwise limit a consumer’s liability in the event of unauthorized use of a customer’s credit card—must disclose the limits on a cardholder’s liability under federal law for unauthorized use of a credit card (15 U.S.C. § 1643). Since the law limits cardholder liability for unauthorized use—for example, when a credit card is lost or stolen—to no more than $50, disclosure of this information to consumers will help ensure that they have the material information necessary to decide whether the protection plan offered is worth the cost. The term “negative option feature” is used in the Rule. It is when the seller interprets the consumer’s silence, or failure to take an affirmative action to reject goods or services or cancel an agreement as acceptance of the offer. One type of negative option offer is a “free-to-pay conversion” offer (also known as a “free-trial offer”), where customers receive a product or service for free for an initial period and then have to pay for it if they don’t take some affirmative action to cancel before the end of the period. Other types of negative option features include continuity plans and other arrangements where consumers automatically receive and incur charges for shipments in an ongoing series unless they take affirmative action to stop the shipment. the fact that the customer’s account will be charged unless he or she takes an affirmative action—such as canceling—to avoid the charge. the date(s) on which the charge(s) will be submitted for payment. the specific steps the customer must take to avoid the charges. While the best practice is to provide an actual date on which payment will be submitted, it is acceptable to disclose an approximate date if you don’t—or can’t—know the actual date, provided the approximate date gives the consumer reasonable notice of when to expect the debit or charge. As for disclosing how the consumer can avoid charges, it is not sufficient under the Rule to disclose that a consumer would have to call a toll-free number to cancel without disclosing the number. Promptly: “Promptly” is defined by Webster’s Dictionary as “performed at once or without delay.” For purposes of the Rule, “promptly” means before any sales pitch is given and before any charitable solicitation is made. Required information about a prize promotion must be given before or when the prize offered is described. The identity of the seller. The seller is the entity that provides goods or services to the consumer in exchange for payment. The identity of the telemarketer, or person making the call, need not be disclosed if it is different from the identity of the seller. If the seller commonly uses a fictitious name that is registered with appropriate state authorities, it is fine to use that name instead of the seller’s legal name. That the purpose of the call is to sell goods or services. The Rule requires that the purpose of the call be disclosed truthfully and promptly to consumers. How you describe or explain the purpose of the call is up to you, as long as your description is not likely to mislead consumers. For example, it would be untruthful to state that a call is a “courtesy call,” if it’s a sales call. The nature of the goods or services being offered. This is a brief description of items you are offering for sale. In the case of a prize promotion, that no purchase or payment is necessary to participate or win, and that a purchase or payment does not increase the chances of winning. If the consumer asks, you must disclose—without delay— instructions on how to enter the prize promotion without paying any money or purchasing any goods or services. These same disclosures must be made in an upselling transaction if any of the information in these disclosures is different from the initial disclosures (if the initial transaction was an outbound call subject to the Rule) or if no disclosures were required in the initial transaction, such as a non-sales customer service call. For example, in an external upsell, where the second transaction in a single telephone call involves a second seller, you must tell the consumer the identity of the second seller—the one on whose behalf the upsell offer is being made. On the other hand, in an internal upsell, where additional goods or services are offered by the same seller as the initial transaction, no new disclosure of the seller’s identity is necessary because the information is the same as that provided in the initial transaction. Multiple Purpose Calls. Some calls have more than one purpose. They may involve the sale of goods or services and another objective, like conducting a prize promotion or determining customer satisfaction. They may involve a charitable solicitation combined with a prize promotion. In any multiple purpose call where the seller or telemarketer is planning to sell goods or services in at least some of the calls, four disclosures must be made promptly—that is, during the first part of the call before the non-sales portion of the call. Similarly, in any multiple purpose call where the telemarketer is planning to solicit charitable contributions in at least some of the calls, two disclosures must be made promptly—that is, during the first part of the call, before the noncharitable solicitation part of the call. Say a seller calls a consumer to determine whether he or she is satisfied with a previous purchase and then plans to move into a sales presentation if the consumer is satisfied. Since the seller plans to make a sales presentation in at least some of the calls (the seller plans to end the call if the consumer is not satisfied), four disclosures must be made promptly during the initial portion of the call and before inquiring about customer satisfaction. However, a seller may make calls to welcome new customers and ask whether they are satisfied with goods or services they recently purchased. If the seller doesn’t plan to sell anything to these customers during any of these calls, the four oral disclosures are not required. That’s the case even if customers ask about the sellers’ other goods or services, and the seller responds by describing the goods or services. Because the seller has no plans to sell goods or services during these calls, the disclosures are not required. The identity of the charitable organization on whose behalf the solicitation is being made. The charitable organization is the entity on whose behalf a charitable contribution is sought. The identity of the telemarketer, or person making the call, need not be disclosed. If the charitable organization commonly uses a fictitious name that is registered with appropriate state authorities, that name may be disclosed instead of the charitable organization’s legal name. That the purpose of the call is to solicit a charitable contribution. The Rule requires that the purpose of the call be disclosed promptly to consumers. How the purpose of the call is described or explained is up to you, as long as your description or explanation is not likely to mislead consumers. How does a for-profit company that telemarkets for a non-profit organization make the required oral disclosures? When a for-profit company makes interstate calls to solicit charitable contributions for a non-profit organization, the for-profit telemarketer must make the required prompt disclosures for charitable solicitation calls. The company must identify the entity on behalf of whom the charitable solicitation is made and state that the purpose of the call is to solicit a charitable contribution. However, if a for-profit company solicits charitable contributions on behalf of a charity and offers goods or services that are of more than nominal value — a book, magazine subscription, or perhaps a membership — to induce donations, the required oral disclosures for both sales and charitable contributions must be made. “Nominal” means a value less than the amount of any contribution being solicited. In a situation where the goods or services offered are of more than nominal value, stating the name of the non-profit organization on whose behalf the call is being made is sufficient. This disclosure also would satisfy the requirement that the entity on whose behalf a charitable contribution is being solicited be identified. you cannot falsely claim that you need a consumer’s bank account number or credit card number only for identification purposes, when, in fact, you will use the number as payment for the goods or services offered. a seller of precious metals cannot induce anyone to invest by falsely claiming that the seller offers the metals at or near wholesale price. it would be illegal under the Rule to solicit a charitable contribution by claiming that 100 percent of the funds collected would benefit the stated charity, when only 30 percent of the money goes to the charity. impression in a consumer’s mind through the artful use of half-truths or misleading or incomplete information. The Rule prohibits sellers and telemarketers from misrepresenting any material restriction, limitation, or condition to purchase, receive, or use goods or services offered to the consumer. For example, you may not falsely claim that a hotel certificate may be used any time at any major hotel chain in the country, when it can be used only at certain times or at a limited number of hotels. a water processor offered for sale can eliminate all known contaminants from tap water. a service offered by the seller can improve a person’s credit rating. a machine will operate properly without maintenance. precious metals outperform other types of investments. a seller can recover money lost by the consumer in a previous telemarketing transaction. a purchaser of a business venture can earn “more money in a week than you now earn in a year” or achieve specific levels of income. The Rule prohibits sellers and telemarketers from misrepresenting any material aspect—one that likely would have an effect on the onsumer’s purchasing decision—of the nature or terms of the seller’s refund, cancellation, exchange, or repurchase policies. For example, the Rule prohibits you from claiming that “our policy is to make our customers happy—if at any time you’re not absolutely delighted, just send the merchandise back,” if there are time limits, “restocking” charges, or other important restrictions on the return of the goods. It also prohibits sellers and telemarketers from claiming that tickets may be cancelled any time up to the date of an event when cancellation requests like that would not be honored. the odds of being able to receive a prize (for example, falsely saying that everyone who enters is guaranteed to win a prize, or falsely claiming that a particular person is “the top winner in the entire state”). the nature or value of a prize (for example, falsely claiming a prize is an “expensive genuine diamond tennis bracelet,” when the prize has only nominal value or doesn’t contain any diamonds). a consumer must buy magazine subscriptions to enter a prize promotion). The Rule prohibits sellers and telemarketers from misrepresenting any material aspect of an investment opportunity. You may not make any false or misleading statements about an investment opportunity that are likely to affect a prospective purchaser’s decision to invest. You may not misrepresent any information needed to make an informed investment decision. Examples of material aspects of an investment opportunity include: the risk involved in the investment, the liquidity of the investment, or the earnings potential or profitability of the investment. Depending on the nature of the investment opportunity, other material aspects may include markup over acquisition costs; past performance, marketability, or value of an investment; or fees charged in credit-financed purchases of precious metals. The Rule prohibits sellers and telemarketers from misrepresenting affiliations with—or endorsements or sponsorships by—any person, organization, or government entity. For example, you cannot falsely claim that you’re a member of the Better Business Bureau or the local chamber of commerce, or that you’re affiliated with the local police or some national charity. Neither can you create the impression in a consumer’s mind that the postal permit number displayed on a mail solicitation is a sign that the U.S. Postal Service has approved a promotion. In addition, sellers and telemarketers cannot falsely claim or create the impression in a consumer’s mind that they are related to or affiliated with a company with which the consumer usually does business. The Rule prohibits sellers and telemarketers from misrepresenting that any customer needs offered goods or services to receive protection against unauthorized charges that he or she already has under federal law (15 U.S.C. § 1643). For example, you cannot falsely claim that a consumer who doesn’t purchase the credit card loss protection you’re offering might be liable for thousands of dollars in unauthorized charges should a credit card be stolen. In fact, the law caps a customer’s liability for unauthorized charges on her credit card at $50. The Rule prohibits sellers and telemarketers from misrepresenting any material aspect of a negative option feature of an offer, including: the fact that the consumer’s account will be charged unless the consumer takes an affirmative action to avoid the charges, the dates the charges will be submitted for payment, and the specific steps the customer must take to avoid the charges. For example, the Rule prohibits you from representing that to avoid being charged, the consumer need only call a tollfree number to cancel if, in fact, the number is never answered. In this case, you would be misrepresenting the specific steps the customer must take to avoid the charge, because the steps described wouldn’t achieve that purpose. The Rule prohibits telefunders from misrepresenting the nature, purpose, or mission of any entity on whose behalf a charitable contribution is being solicited. It would violate the Rule for a telefunder to claim, expressly or by implication, that a charitable contribution is being requested on behalf of a charity that seeks to protect endangered species if the purpose of the charity is to support a local petting zoo of barnyard animals. And a telefunder may not represent that a charitable organization engages in cancer research if the organization simply educates the public about cancer through its fundraising calls. The Rule prohibits telefunders from misrepresenting how the requested contribution will be used. This includes not only how a donation will be spent, but also the locality where the direct effect of the donation will be felt. The purpose for which a contribution is sought usually is important to a donor, and any misrepresentations about that would be likely to mislead a consumer. It would violate the Rule for you to state or imply that a donation will benefit sick children in the local area if the money collected is not spent to benefit sick children or is not spent to benefit sick kids in the donor’s local area. You also cannot claim that a donation will be used to pay for bullet-proof vests for local law enforcement officers if the money goes to some other purpose. The charitable purpose described to potential donors may not be peripheral or incidental to the primary purpose for which the donation will be used. organization or program. This prohibition covers statements made in response to the questions of potential donors, as well as unprompted standalone statements. Even though the TSR does not require you to affirmatively disclose the percentage or amount of the contribution that goes to a charitable organization or program, if a potential donor raises the question, you must answer truthfully and must not misrepresent this information in any way. The Rule prohibits telefunders from misrepresenting any material aspects of a prize promotion in conjunction with a charitable solicitation. You may not make a false statement about any aspect of a prize promotion that could affect a donor’s decision to make a charitable contribution in conjunction with the prize promotion. The Rule prohibits telefunders from misrepresenting their own or a charitable organization’s affiliation with, or endorsement or sponsorship by, any person, organizations, or government entity. For example, you cannot falsely claim that the organization on whose behalf you are calling is affiliated with, sponsored by, endorsed by, or otherwise approved by any other entity or organization. Nor could you falsely claim to be endorsed or “approved by” the local police. In addition, you cannot falsely claim — or create the impression—that you are related to or affiliated with a charity that the donor has heard of or contributed to in the past. The Rule requires “express verifiable authorization” when the payment is made by a method other than a credit card (subject to the Truth in Lending Act and Regulation Z), or a debit card (subject to the Electronic Fund Transfer Act and Regulation E). Because many novel payment methods lack protection against unauthorized charges and dispute resolution rights should the customer be unhappy with the goods or services, the Rule requires that when customers in telemarketing transactions pay by such methods, sellers and telemarketers must meet a higher standard for proving authorization. This provision, the prohibition on sharing unencrypted account numbers, and the requirement that a consumer’s express informed consent be obtained in every telemarketing transaction, are in place to protect consumers from unauthorized charges. Who is responsible for obtaining verifiable authorization? Under the Rule, sellers and telemarketers that receive payment by methods other than credit or debit cards are responsible for obtaining verifiable authorization in those transactions. Even if you use the services of a third party to process or submit billing information other than credit or debit card information, you are responsible for ensuring that the disclosure requirements of the Rule for verifying authorization are met. Under the Rule, a third party also can be held liable for violating the Rule if the third party substantially assists a seller or telemarketer and knows—or consciously avoids knowing—that the seller or telemarketer is violating the Rule by failing to obtain verifiable authorization. Processing and submitting account information constitutes substantial assistance to a seller or telemarketer. Therefore, if a third party is processing account information for a seller or telemarketer, the third party should ensure that whoever is obtaining consumers’ account information obtains verifiable authorization in accordance with the Rule’s requirements. A third party who processes and submits bank account information cannot avoid liability by not asking questions about whether authorization procedures comply with the Rule. Indeed, a third party can be held liable under the Rule if it knows that the authorization procedures do not comply with the Rule and it processes or submits account information for payment anyway. Does the Rule apply if I only supply the software to process or submit bank account information for payment? Maybe. Providing the means to submit a consumer’s account information for payment constitutes substantial assistance to a seller or telemarketer. If the seller or telemarketer who is using the software is violating the Rule, a law enforcement agency may ask about the extent to which the software provider ensured that authorization procedures were in place to comply with the Rule. A software provider cannot sell its product with its “eyes closed” to the business practices used by the software purchaser, consciously avoiding any knowledge of the wrongdoing. Deceptive telemarketers favor novel payment methods, such as demand drafts. Therefore, third parties should know who they’re doing business with — and whether the people they do business with are complying with the Rule. written confirmation of the transaction sent to the consumer before you submit the charge for payment. Here are the requirements for each type of authorization. Any form of written authorization from a consumer is acceptable, as long as it has the consumer’s signature. For example, a consumer may transmit written authorization to the seller or telemarketer by facsimile or may send a “voided” signed check as written authorization. An electronic signature also is valid, provided it would be recognized as a valid signature under applicable federal or state contract law. Any audio recording of an oral authorization3 for payment must clearly demonstrate that the consumer has received each of seven specific pieces of information about the transaction and that the consumer has authorized that funds be taken from (or charged to) his or her account based on the required disclosures by the seller or telemarketer. A general question like, “Do you understand all the terms of the sale?” followed by a consumer’s “uh-huh” or “yeah” is not enough to demonstrate authorization. The tape recording must show that the consumer received each piece of information below and that, based on this information, the consumer understood and acknowledged each term of the transaction and authorized the transaction. the number of debits, charges, or payments (if more than one). the date the debits, charges, or payments will be submitted for payment. the amount of the debits, charges, or payments. the customer or donor’s name. the customer or donor’s billing information, identified in specific enough terms that the consumer understands which account will be used to collect payment for the transaction. a telephone number that is answered during normal business hours by someone who can answer the consumer’s questions. the date of the consumer’s oral authorization. The Rule also requires that audiorecorded oral authorization be made available upon request to the customer or donor, as well as to the customer or donor’s bank or other billing entity. Other laws, such as the EFTA (15 U.S.C. § 1693 et seq. ), may impose different obligations about obtaining a consumer’s authorization of a charge. It is the responsibility of each seller and telemarketer to determine how to comply with all applicable laws and rules. Compliance with the TSR requirements for obtaining authorization does not eliminate the obligation to comply with EFTA and other applicable laws. If sellers and telemarketers choose verifiable authorization through written confirmation, they must send the confirmation to the consumer via first class mail—and identify it clearly and conspicuously as confirmation of payment— before submitting the consumer’s billing information for payment. That does not mean that you must wait to submit this information until a consumer receives the confirmation: The Rule requires only that you send it before you submit the billing information for payment. The Rule leaves it to sellers and telemarketers to determine what procedures are necessary to ensure that confirmations are sent prior to submission, to put these procedures in place, and to ensure that records are generated and maintained to document that confirmations are sent at the appropriate time and required refunds are provided. Similarly, in a transaction involving a continuity plan, it would be sufficient for you to note when any initial charge will be submitted for payment, and then at what intervals each successive payment would be submitted, should the customer opt not to decline to purchase additional goods or services. For example, in a book club plan, you could tell a customer that the initial $4.95 charge would be debited from his or her bank account on May 15, and that each month after that, his or her account will be billed one week from the date of each successive shipment. To identify the account with sufficient specificity for the customer or donor to understand what account will be charged, you must state the name of the account and enough other distinguishing information about the account to ensure that the customer understands which account will be charged. For example, telling the consumer that the charge will be placed on his mortgage account is not specific enough information. It would be necessary to identify the account further, perhaps by the name of the lender and the property address, or a reference to some portion of the account number or expiration date. It is your obligation to ensure that the consumer knows specifically what account will be charged for the goods or services. It is a violation of the Rule to substantially assist a seller or telemarketer while knowing—or consciously avoiding knowing—that the seller or telemarketer is violating the Rule. Thus taking deliberate steps to ensure one’s own ignorance of a seller or telemarketer’s Rule violations is an ineffective strategy to avoid liability. The help that a third-party provides must be more than casual or incidental dealing with a seller or telemarketer that is not related to a violation of the Rule. For example, cleaning a telemarketer’s office, delivering lunches to the telemarketer’s premises, or engaging in some other activity with little or no relation to the conduct that violates the Rule would not be enough to support liability as an assistor or facilitator. Third parties who do business with sellers and telemarketers should be aware that their dealings may provide a factual basis to support an inference that they know—or deliberately remain ignorant of—the Rule violations of these sellers and telemarketers. For example, a third party who provides sellers or telemarketers with mailing lists, help in creating sales scripts or direct mail pieces, or any other substantial assistance while knowing or deliberately avoiding knowing that the seller or telemarketer is engaged in a Rule violation may be violating the Rule. Credit card laundering is the misuse of a “merchant account” with a financial institution. A merchant account is a kind of bank account: it is what a seller or telemarketer needs to gain access to a credit card collection and payment system and to get cash for goods and services sold. Obtaining access to the credit card system through another’s merchant account without the authorization of the financial institution is credit card laundering. This practice violates the Rule, and is a criminal offense under federal law and the laws of some states. with a merchant account to deposit into the credit card system any credit card sales draft generated by a telemarketing transaction that is not the result of a sale to the buyer by the person who has the merchant account. to use or solicit someone who has a merchant account (or an employee, representative, or agent of someone who has a merchant account) to deposit into the credit card system any credit card sales draft generated by a telemarketing transaction that is not the result of a sale to the buyer by the person who has the merchant account. o obtain access to the credit card system through a business relationship or an affiliation with a merchant, when the access is not authorized under the terms of the merchant account or by the applicable credit card system. informed consent of the customer or donor. The Rule requires that in any telemarketing transaction, sellers and telemarketers obtain the express informed consent of the customer or donor to be charged a specific amount on a particular identified account, to pay for the goods or services offered, or to make a charitable contribution. What is express informed consent? Under the Rule, consent is express if it is affirmatively and unambiguously articulated by the consumer. Silence is not express consent, nor is an ambivalent response like, “Well, maybe . . .,” “Gee, I don’t know about that . . .,” or a noncommital “uh-huh.” For consent to be informed, a consumer, prior to giving consent, must receive all the disclosures required by the Rule. For example, consent would not meet the requirement that it be “informed” if the consumer does not receive all the Rule’s required material disclosures—both the prompt oral disclosures for outbound calls and the disclosures of all material information required in all telemarketing transactions. Consent is an affirmative statement that the consumer agrees to purchase the goods or services (or to make the charitable contribution) and is aware that the charges will be billed to a particular account. Pre-acquired account information is any information that enables sellers and telemarketers to place a charge against a consumer’s account without getting the account information directly from the consumer during the transaction for which the account will be charged. The use of pre-acquired account information radically changes the usual dynamic in sales transactions, which requires that a telemarketer obtain the customer’s acceptance of the offer, as well as the customer’s account number to be charged. Telemarketers using pre-acquired account information are able to cause a charge to a consumer’s account without getting the account number from the consumer during the transaction. The Rule establishes safeguards to protect consumers in all telemarketing transactions in which sellers and telemarketers have pre-acquired account information. The Rule establishes separate requirements for pre-acquired account information transactions involving “free-to-pay conversion” offers. Free-to-pay conversion offers, sometimes known as “free-trial offers,” are offers or agreements where customers receive a product or service for free for an initial period and then incur an obligation to pay unless they take affirmative action to cancel before the end of the period. That’s because when used together with free-to-pay conversion offers, pre-acquired account information has resulted in significant numbers of unauthorized charges to consumers who think they can’t be charged at the end of a free trial because they haven’t provided their account information. The Rule specifies what sellers and telemarketers must do to prevent this from occurring and to get a consumer’s express informed consent. obtain from the customer at least the last four digits of the account number to be charged. obtain the customer’s express agreement to be charged for the goods or services and to be charged using the account number for which the customer has provided at least the last four digits. make and maintain an audio recording of the entire telemarketing transaction. Obtaining the last four digits from the customer: To meet the requirement that sellers and telemarketers “obtain from the customer” at least the last four digits of the account number to be charged, you must ask the customer to provide this information, and the customer must provide it to demonstrate an understanding that by doing so, he or she is agreeing to make a purchase. You must inform the customer that you have the customer’s account number or the ability to charge the account without getting the full account number from the consumer. Reading the information to the customer and asking for confirmation of the digits is not complying with the Rule. Neither is it sufficient to read the digits to the customer, and then ask the customer to recite them back. In addition, it is not adequate to reuse digits that a customer may have provided for identification purposes during another portion of the call—such as in an inbound call where you ask the customer to provide his or her account number by pressing digits on the telephone keypad. Express Agreement to be Charged: To meet the requirement that telemarketers get a customer’s express agreement to be charged for the goods and services—and to be charged using the account number for which he or she has provided at least four digits—you must ensure that the consumer expressly and unambiguously agrees to both the purchase and the means of payment. The four digits the customer provides must actually be the last four digits of the account to be charged. If the four digits the customer provides aren’t the last four digits of the account, the customer hasn’t expressly agreed to be charged, and the transaction is void for lack of express verifiable authorization. This is not to be interpreted as mandating that a seller or telemarketer have the unencrypted last four digits of a customer’s account number to compare the digits the customer provided to the actual account number. Rather, the agencies that issued rules under the Gramm-Leach-Bliley Act caution financial institutions against sharing the unencrypted last four digits of a customer’s account with a telemarketer, even to ensure that the customer has provided these digits accurately in giving express informed consent. The meaning here is simply that a charge cannot be processed unless the four digits provided by the customer are in fact the last four digits of the account to be charged. One way to ensure that the four digits match is to perform a real-time inquiry to verify that the leading digits of the pre-acquired account number plus the four provided by the customer are a valid account. There are other ways to do this; the Rule does not require any particular method. Audio Recording of the Transaction: In a transaction where sellers and telemarketers have pre-acquired account information and are offering goods or services on a free-to-pay conversion basis, the entire telemarketing transaction must be recorded on audio. The audio recording must capture the material terms provided to the consumer, as well as the context and manner in which the offer is presented, because this can be critical to demonstrate that a consumer’s consent is both express and informed. In a single-transaction call, this means taping the entire call; in a multi-purpose call it means recording the entirety of each transaction using pre-acquired account information coupled with a free-to-pay conversion offer. In a situation where telemarketers are bound by state law to obtain consent to record the transaction, they may ask permission to tape before beginning to record; this is the only portion of the call that may be conducted without recording. If it is necessary to explain the purpose of the call or to identify the seller to obtain the customer’s permission to record, telemarketers must reiterate this information once the recording begins to demonstrate that the required prompt disclosures were made in the outbound call. at a minimum, identify the account to be charged with enough specificity for the customer or donor to understand. obtain the customer or donor’s express agreement to be charged for the goods or services and to be charged using the account number the seller or telemarketer has identified. The Rule’s requirements for obtaining express informed consent in these transactions are less strict than when a free-to-pay conversion feature is involved. That’s because while pre-acquired account information itself can lead to unauthorized billing, the record shows this is less likely when there’s no free-to-pay conversion offer. Identifying the Account with Sufficient Specificity: A telemarketer must state the name of the account and enough other distinguishing information about the account to ensure that the customer understands which account will be charged. For example, it is not good enough to tell the consumer only that a charge will be placed on his Visa credit card. You must identify the card more precisely, either by stating the name of the issuing bank, or some portion of the account number. As the telemarketer, you are obligated to ensure that the consumer knows exactly which account will be charged for the goods or services. The underlying intention of the Rule is that the telemarketer expressly inform the customer that the seller or telemarketer already has the number of the customer’s specifically identified account or has the ability to charge that account without getting the account number from the consumer. The original Rule contained a provision prohibiting calls to any consumer who previously asked not to get calls from or on behalf of a particular seller. The amended Rule retains that provision, and adds a new one prohibiting calls to any numbers consumers have placed on the National Do Not Call Registry maintained by the FTC. What if a consumer asks a specific division of a corporation not to call? Does a call from a different division violate the Rule? Distinct corporate divisions generally are considered separate sellers under this Rule. Factors relevant to determining whether distinct divisions of a single corporation are treated as separate sellers include whether there is substantial diversity between the operational structure of the divisions and whether the goods or services sold by the divisions are substantially different from each other. If a consumer tells one division of a company not to call again, a distinct corporate division of the same company may make another telemarketing call to that consumer. Nevertheless, a single seller without distinct corporate divisions may not call a consumer who asks not to be called again, even if the seller is offering a different good or service for sale. On the question of charitable solicitations, telefunders must maintain individual Do Not Call lists for charities on whose behalf they make telemarketing calls. Calling someone who has asked not to be called on behalf of a charitable organization potentially exposes the telefunder who places the call to a civil penalty of $11,000 per violation. Example: Charity A is a non-profit charitable organization not covered by the TSR. Charity A engages Telefunder 1, a for-profit service bureau subject to the TSR, to conduct fundraising telephone campaigns on its behalf. Charity A uses Telefunder 1 to conduct a fundraising campaign for six months, then uses Telefunder 2, another for-profit service bureau, for the next six months. It will violate the Rule for Telefunder 2 to initiate an outbound telephone call on behalf of Charity A to a person who has already asked not to be called on behalf of Charity A. It is the responsibility of Telefunder 2 to get the Do Not Call list relating to Charity A compiled and maintained by Telefunder 1, and to keep from placing calls to anyone on that list when calling on behalf of Charity A. If Telefunder 2 also conducts a fundraising campaign for Charity B, Telefunder 2 may call potential donors on behalf of Charity B even if they’re on Charity A’s Do Not Call list. But when calling on behalf of Charity B, Telefunder 2 may not call potential donors on Charity B’s Do Not Call list. making a toll-free telephone call or via the Internet. Consumer registrations are valid for five years, or until the consumer asks to be taken off the National Registry or the number is disconnected. Only telephone numbers are included in the National Registry. This means that all household members who share a number will stop receiving most telemarketing calls after the number is registered. Consumers may register both their residential “land line” telephone numbers and their wireless telephone numbers. Sellers, telemarketers, and their service providers have been able to access the Registry through a dedicated Web site since September 2003. It is a Rule violation to make any covered calls beginning October 1, 2003 without having accessed the Registry. Sellers and telemarketers will have to update their call lists—that is, delete all numbers in the National Do Not Call Registry from their lists—at least every three months. As of October 1, 2003, sellers and telemarketers are prohibited from calling any consumer whose number is in the database. Violators will be subject to civil penalties of up to $11,000 per violation, as well as injunctive remedies. This provision does not apply to business-to-business calls or calls to consumers from or on behalf of charities. Still, telefunders calling to solicit charitable contributions must honor a donor’s request not to be called on behalf of a particular charitable organization. Who can access the National Registry? Access to the National Registry is limited to sellers, telemarketers, and other service providers. Sellers are companies that provide, offer to provide, or arrange for others to provide goods or services to a customer in return for some type of payment as part of a telemarketing transaction. Telemarketers are companies that make telephone calls to consumers on behalf of sellers. Service providers are companies that offer services to sellers engaged in telemarketing transactions, such as providing lists of telephone numbers to call, or removing telephone numbers from the sellers’ lists. Some sellers are exempt from the FTC’s Rules but are required to access the National Registry under the FCC’s Rules. Other sellers (charities and political organizations) are exempt from accessing the National Registry under both agencies’ rules. These exempt sellers still may access the National Registry voluntarily and do not have to pay a fee for that access. They must, however, submit appropriate certification information to gain access to the National Registry. Can I use numbers on the National Registry for any purpose other than preventing telemarketing calls? No. The National Registry may not be used for any purpose other than preventing telemarketing calls to the telephone numbers on the Registry. Any entity that accesses the National Registry will be required to certify, under penalty of law, that it is accessing the Registry solely to comply with the TSR or to prevent calls to numbers on the Registry. How can I access the National Registry? telephone numbers. After you (or the company telemarketing on your behalf) have accessed the National Registry the first time, you’ll have the option of downloading only changes in the data that have occurred since the last time you accessed the Registry. When can I access the National Do Not Call Registry? Effective September 2, 2003, the National Do Not Call Registry will be available to the telemarketing industry. Enforcement of the National Do Not Call Registry begins October 1, 2003. Companies required to access the National Registry and remove the numbers on the Registry from their calling lists must do so by October 1, 2003, to be in compliance. What information must I provide to access the National Registry? The first time you access the system, you will be asked to provide certain limited identifying information, such as your company name and address, contact person, and the contact person’s telephone number and email address. If you are accessing the National Registry on behalf of a seller-client, you also will have to identify that seller-client. How often will I have to access the National Registry and remove numbers from my calling list? After October 1, 2003, you will have to synchronize your lists with an updated version of the National Registry every three months. How often may I download data from the National Registry? You will be able to access data as often as you like during the course of your annual period for those area codes for which you have paid. However, to protect system integrity, you may download data files from the National Registry only once in any 24-hour period. What information can I access from the National Registry? numbers will be sorted and available by area code. Companies will be able to access as many area codes as desired (and paid for), by selecting, for example, all area codes within a certain state. Of course, companies also will be able to access the entire National Registry. May I check just a few numbers at a time to see if they are registered? Companies that have provided the required identification information and certification and paid the appropriate fee (if they want to access more than five area codes) will be allowed to check a small number of telephone numbers (10 or less) at a time via interactive Internet pages. This will permit small volume callers to comply with the Do Not Call requirements of the TSR without having to download a potentially large list of all registered telephone numbers within a particular area. What format will the National Registry use? Data will be available from the National Registry using Internet-based formats and download methods that serve both small and large businesses. Data also will be available in three different sets: full lists, change lists, and small list look-ups. Full lists and change lists will be available as flat files or XML tagged data files. You will indicate your preference for flat files or XML tagged data files as part of your profile. number is in the Registry. For those who select XML tagged data, the XML tags will include: a login and encrypted password; the name and email address of the company contact person; certification that access to the National Registry is solely to comply with the provisions of the TSR; the account number(s) for which the download is being performed; and whether a full list or change list is to be downloaded. For both flat files and XML tagged data, if you select a change list, you will be provided all telephone numbers that have been added to, or deleted from, the National Registry since the date of your previous access. Change lists, for both flat files and XML tagged data, will be available to provide changes on a daily basis (representing the additions and deletions from the day before). To assist in automating the download process, the National Registry will offer the option to set up Web services for requesting change lists in XML tagged data format. How much does it cost to access the Registry? Data for up to five area codes will be available for free. Beyond that, there is an annual fee of $25 per area code of data, with a maximum annual fee of $7,375 for the entire U.S. database. How often will I have to pay a fee? The fee must be paid annually. Payment of the fee provides access to the data for an “annual period,” which is defined as the twelve months following the first day of the month in which the seller paid the fee. For example, a seller who pays its annual fee on September 15, 2003, has an “annual period” that runs from September 1, 2003 through August 31, 2004. All sellers covered by the TSR must pay the appropriate fee for an area code of data before they call, or cause a telemarketer to call, any consumer within that area code, even those consumers whose telephone numbers are not on the National Registry. The only exceptions are for sellers that call only consumers with which they have an existing business relationship or written agreement to call, and do not access the National Registry for any other purpose. Charities and political organizations that voluntarily want to access the National Registry to prevent calling consumers whose numbers are on the Registry may access the Registry at no cost. Telemarketers and service providers may access the National Registry, at no cost, through the use of their seller-client’s unique account number. Even though they are not required by law to do so, telemarketers and service providers may gain access to the National Registry on their own behalf, but they must pay a separate fee for that ability. But before placing calls on behalf of a seller-client, telemarketers are required to ensure that their seller-client has paid the appropriate annual fee. Fees will be payable via credit card (which will permit the transfer of data in the same session, if the payment is approved) or electronic fund transfer (EFT). EFT will require you to wait approximately three days for the funds to clear before data access will be provided. You must pay the fee prior to gaining access to the National Registry. Sellers and exempt entities can pay the fee directly or through their telemarketers or service providers (to which the seller or exempt entity has provided the necessary authority). What if I pay for a small number of area codes, and then later in the year expand my business to call more area codes? Will I have to pay twice? If you need to access data from more area codes than you initially selected, you may do so, but you will have to pay for access to those additional area codes. Obtaining additional data from the National Registry during the first six months of your annual period will require a payment of $25 for each new area code. During the second six month period, the charge to obtain data from each new area code is $15. Payment for additional data provides you with access to the additional data for the remainder of your annual period. What happens after I pay for access? After payment is processed, you will be given a unique account number and permitted access to the appropriate portions of the National Registry. Using that account number in future visits to the Web site will speed the time needed for access. On subsequent visits to the Web site, you will be able to download either a full updated list of numbers from your selected area codes or a more limited list, consisting of changes to the National Registry (both additions and deletions) that have occurred since the day of your last download. This limits the amount of data that you need to download during each visit. The change file will consist of each telephone number that has changed, whether it was added or deleted, and the date of the change. A telemarketer or other service provider working on behalf of a seller may access the National Registry directly or through the use of its seller-client’s unique account number. If access is gained through its seller-client’s account number, the telemarketer or service provider will not have to pay a separate fee for that access. The extent of its access will be limited to the area codes requested and paid for by its seller-client. The telemarketer or service provider also will be permitted to access the National Registry at no additional cost, once the annual fee has been paid by its seller-client. Of course, sellers or telemarketers must use a version of the National Registry that’s no more than three months old before they make any telemarketing calls. If a telemarketer or service provider is accessing the National Registry directly, that is, if a telemarketer or service provider decides to obtain the information on its own behalf, it will have to pay a separate fee and comply with all requirements placed on sellers accessing the Registry. Such a telemarketer or service provider will be provided an account number that can be used only by that company. In other words, that account number is not transferrable. What if a seller uses one telemarketer at the beginning of the year and switches to another later in the year? Will the seller have to pay twice? No. Each seller will have a unique account number that it can give to the telemarketers and service providers who may access the National Registry on the seller’s behalf. It’s against the law to call (or cause a telemarketer to call) any number on the National Registry (unless the seller has an established business relationship with the consumer whose number is being called, or the consumer has given written agreement to be called). But it’s also against the law for a seller to call (or cause a telemarketer to call) any person whose number is within a given area code unless the seller first has paid the annual fee for access to the portion of the National Registry that includes numbers within that area code. How do the registries operated by the FTC, the, FCC, and the various states fit together? On June 26, 2003, the FCC announced that it was joining the FTC in creating and enforcing one National Registry. Together, the FTC and the FCC have jurisdiction over nearly all sales calls placed to U.S. consumers. The FTC and FCC are working to harmonize state and federal Do Not Call laws. The goal is to achieve a single National Registry for the convenience and efficiency of consumers as well as businesses. What if I have problems when I try to access the National Registry? The Web site at www.telemarketing.donotcall.gov has help available online during regular business hours via a secure electronic form. How does the National Registry impact small, home-based direct sellers? FTC staff does not contemplate enforcing the National Do Not Call Registry provisions against individuals who make sales calls out of their own homes to personal friends, family members, or small numbers of personal referrals. In fact, most of the calls made by such small direct sellers probably would be local or “intrastate” calls, and therefore not covered by the TSR. The TSR applies to telemarketing campaigns that involve more than one interstate call. Nevertheless, small home-based direct sellers should be aware that the Do Not Call regulations of the FCC cover intrastate calls. The FCC regulations exempt “personal relationship” calls—where the party called is a family member, friend, or acquaintance of the telemarketer making the call. As a matter of goodwill, small direct sellers may want to avoid contacting a person whose number is on the Registry. The National Do Not Call Registry has a free, single number look-up feature to enable small direct sellers to verify whether an individual number is in the Registry database. Where can I get more information about compliance? The best source of information about complying with the Do Not Call provisions of the TSR is the FTC’s Web site at www.ftc.gov/donotcall. It includes business information about the National Registry. You can view the entire TSR at that site. the seller or telemarketer uses, and maintains records documenting, a process to prevent calls to any telephone number on an entity-specific Do Not Call list or the National Do Not Call Registry. This, provided that the latter process involves using a version of the National Registry from the FTC no more than three months before the date any call is made. the seller and telemarketer may be liable for a Rule violation. If an investigation reveals that neither the seller nor the telemarketer had written Do Not Call procedures in place, both will be liable for the Rule violation. If the seller had written Do Not Call procedures, but the telemarketer ignored them, the telemarketer will be liable for the Rule violation; the seller also might be liable, unless it could demonstrate that it monitored and enforced Do Not Call compliance and otherwise implemented its written procedures. Ultimately, a seller is responsible for keeping a current entityspecific Do Not Call list, either through a telemarketing service it hires or its own efforts. What does “error” mean? If a seller or telemarketer has and implements written Do Not Call procedures, it will not be liable for a Rule violation if a subsequent call is the result of error. But it may be subject to an enforcement investigation, which would focus on the effectiveness of the procedures in place, how they are implemented, and if all personnel are trained in Do Not Call procedures. If there is a high incidence of “errors,” it may be determined that the procedures are inadequate to comply with the Rule’s Do Not Call requirements, the safe harbor is not fulfilled, and the calls violate the Rule. On the other hand, if there is a low incidence of “errors,” there may not be a Rule violation. The determination of whether an excusable “error” occurs is based on the facts of each case. A safe rule of thumb to ensure that adequate Do Not Call procedures are implemented is to test periodically for quality control and effectiveness. A magazine seller may make a telemarketing call to a customer whose number is on the National Registry for 18 months after the date of the customer’s last payment for magazines or for 18 months after the seller’s last shipment date of magazines, whichever is later. A consumer calls a company to ask for more information about a particular product. If the company returns the consumer’s call within three months from the date of the inquiry, whether the consumer’s telephone number is on the National Registry is immaterial. But after that three month period, the company would need either the consumer’s express agreement to get more calls or a transaction-based established business relationship to support more calls. An established business relationship is between a seller and a customer; it is not necessarily between one of the seller’s subsidiaries or affiliates and that customer. The test for whether a subsidiary or affiliate can claim an established business relationship with a sister company’s customer is: would the customer expect to receive a call from such an entity, or would the customer feel such a call is inconsistent with having placed his or her number on the National Do Not Call Registry? A consumer who purchased aluminum siding from “Alpha Company Siding,” a subsidiary of “Alpha Corp.,” likely would not be surprised to receive a call from “Alpha Company Kitchen Remodeling,” also a subsidiary of “Alpha Corp.” The name of the seller and the subsidiary are similar, as are the type of goods or services offered—home repair and remodeling. If a consumer purchases a computer with peripherals—printer, keyboard, speakers—from a local retail store, the consumer will have an established business relationship with that store for 18 months from the date of purchase. In addition, the consumer may have an established business relationship with the computer manufacturer and possibly the manufacturer of the peripherals, as well as the operating system manufacturer, as long as the customer has a contractual relationship with any of these entities. If the printer comes with a manufacturer’s written warranty, the manufacturer of the printer has an established business relationship with the customer. If the operating system comes with a manufacturer’s written warranty, the manufacturer of the system has an established business relationship with the customer, too. However, if a consumer buys a subscription to a magazine from a magazine publisher that happens to be owned by a corporation with diverse holdings, the customer’s established business relationship would exist only with the magazine publisher, not the corporate parent or any other corporate subsidiaries. The Rule allows sellers and telemarketers to call any consumer who gives his or her express agreement to receive calls, even if the consumer’s number is in the National Do Not Call Registry. The consumer must give express agreement in writing to receive calls placed by—or on behalf of—the seller, including the number to which calls may be made, and the consumer’s signature. The signature may be a valid electronic signature, if the agreement is reached online. permission to call would not be deemed to have provided such permission if the “Please call me” button was pre-checked as a default. It is a violation of the Rule for anyone to sell, rent, lease, purchase, or use an entity-specific Do Not Call list or the National Registry for any purpose other than complying with the Rule’s Do Not Call provisions or preventing calls to numbers on such lists. This provision applies to list brokers, third-party services, and others, in addition to sellers and telemarketers. It is intended to ensure that consumers’ phone numbers on Do Not Call lists and the National Registry are not misused. It is a violation of this provision for a seller to market its own entityspecific Do Not Call list to another entity for use as a “do call” list. Sellers and telemarketers (on behalf of sellers) must purchase access to the relevant Do Not Call data from the National Registry database. The Rule prohibits participating in any arrangement to share the cost of accessing the National Registry database. A telemarketer may not divide the costs to access the National Registry database among various client sellers; access for each client seller must be purchased separately. Similarly, a telemarketer may not access the National Registry to obtain Do Not Call data and transfer the data to or share it with another telemarketer. It is a Rule violation to deny or interfere with someone’s right to be placed on the National Do Not Call Registry or on any entity-specific Do Not Call list. This provision prohibits a telemarketer from refusing to accept a consumer’s entity-specific Do Not Call request, whether by hanging up the telephone when the consumer asserts the request, harassing the consumer for having made such a request, or simply failing to diligently capture information about a consumer’s Do Not Call request and add it to the appropriate entity-specific Do Not Call list. In addition, it would violate this part of the Rule for any person to purport to accept telephone numbers or other information for entry into the National Do Not Call Registry. No data from third parties is accepted into the National Do Not Call Registry. The Rule expressly prohibits telemarketers from abandoning any outbound telephone call, but has an alternative that allows some flexibility while enabling you to avoid liability under this provision. The call abandonment provision and safe harbor take effect October 1, 2003. What about situations where a consumer agrees to receive pre-recorded message telemarketing calls? FTC staff do not anticipate enforcing this provision against sellers and telemarketers who have the prior consent of a called consumer. For example, a dry cleaner in Kansas City, doing business in both Missouri and Kansas, gets permission from its customers to call them with prerecorded messages about the schedule for pick-up and delivery. The dry cleaner does not risk a law enforcement action from the FTC for violating the call abandonment prohibition, because a pre-recorded message call, made with the prior permission of the called party, is not an abandoned call. To take advantage of the safe harbor, a telemarketer must first ensure that a live representative takes the call in at least 97 percent of the calls answered by consumers. Calls answered by machine, calls that are not answered at all, and calls to non-working numbers do not count in this calculation. A telemarketer running simultaneous campaigns (on behalf of the same or different sellers) cannot average the abandonment rates for all campaigns, offsetting for example, a six percent abandonment rate for one campaign with a zero percent abandonment rate for another. Each separate campaign is subject to a maximum abandonment rate of three percent per day. It is a violation of the Rule to fail to transmit or cause to be transmitted the telephone number, and, when available by the telemarketer’s telephone company, the name of the telemarketer to any consumer’s caller identification service. This provision takes effect January 29, 2004. The FCC’s telemarketing regulations under the TCPA also include provisions governing the transmission of Caller ID (47 C.F.R. § 64.1200). A consumer asks to be placed on a company’s Do Not Call list. If the telemarketer who receives that request decides to dial the consumer’s number repeatedly, hanging up each time or making obnoxious or offensive remarks to the consumer in retaliation, the calls would violate this provision of the Rule. Repeated calls urging a consumer to take advantage of an offer also would violate this provision, provided they are made with the intent to annoy, abuse, or harass. Several distinct practices occur in fraudulent telemarketing operations. The TSR takes specific aim at these practices. Along with the provisions on express verifiable authorization and unauthorized billing, another provision is designed to ensure that consumers are not charged without their consent. Basically, the Rule makes it illegal to disclose or receive unencrypted account numbers for consideration, unless the disclosure or receipt is to process a payment for a transaction the consumer has consented to after receiving all necessary disclosures and other protections the Rule provides. Other than processing a transaction to which the consumer has consented, there is no legitimate purpose for disclosing or receiving a consumer’s unencrypted account number. Because of the likelihood that people illicitly trading in unencrypted account numbers will misuse the information by placing unauthorized charges against consumers’ accounts, this practice is deemed abusive and is prohibited under the Rule. The term “unencrypted” means not only complete, visible account numbers, whether provided in lists or singly, but also encrypted information with a key to decrypt. “Consideration” can take a variety of forms, all of which are aimed at compensating the provider of the account number information. Forms of consideration include cash or other forms of payment for the list up front or after the sale, and payment of a percentage of each “sale” made using the account numbers, among others. Credit repair services promise consumers with a bad credit history that they can remove negative information from, or otherwise improve, a consumer’s credit history, credit record, or credit rating, regardless of whether the information is accurate. services. If there’s a discrepancy between the various representations by the credit repair seller, the longest time frame represented determines when payment may be requested or received. Two, the seller must provide the consumer with evidence that the improvement promised in the consumer’s credit record has been achieved. The evidence must be a consumer report from a consumer reporting agency, issued more than six months after the results were achieved. Nothing in the TSR affects the requirement in the Fair Credit Reporting Act that a consumer report may be obtained only for a specific permissible purpose. This prohibition is directed at the deceptive marketing and sale of bogus credit repair services; it is not directed at the nondeceptive telemarketing of secured credit cards or legitimate credit monitoring services. No one can permanently remove or “erase” negative entries on a consumer’s credit report if the information is accurate and current. Deceptive credit repair services may be able to cause negative credit information to disappear from a consumer’s credit report temporarily by flooding a credit bureau with letters disputing the accuracy of the negative entries. But once the credit bureau verifies with creditors that the negative items are accurate, they will reappear on a consumer’s credit report and stay there for up to seven years and, in the case of a bankruptcy, for 10 years. If an item is inaccurate, incomplete, or more than seven or 10 years old, consumers can remove or correct the information themselves at no charge if they follow the dispute procedures in the Fair Credit Reporting Act. Consumers do not need the services of a third party to correct an inaccurate or out-of-date credit report. No one can do anything to “repair” a bad credit report that is accurate and up to date. So-called “recovery services” target consumers who have already been victimized by telemarketing fraud. In these operations, a deceptive telemarketer calls a consumer who has lost money or failed to receive a promised prize in a previous scam. The recovery room telemarketer falsely promises to recover the lost money or the promised prize, in exchange for a fee paid in advance. But even after the fee is paid, the services promised are not provided. Typically, the consumer never hears from the telemarketer again. The Rule prohibits any recovery service from asking for or accepting payment for any goods or services purporting to help a consumer recover funds paid in a previous telemarketing transaction—or to recover anything of value promised to a consumer in a previous telemarketing transaction—until seven business days after the funds or other items recovered are delivered to the consumer. The Rule’s restriction on when recovery rooms can ask for and accept payment does not apply to services provided by licensed attorneys. In addition, the Rule takes aim only at recovery services that promise the return of money or other items of value paid for or promised to the consumer in a previous telemarketing transaction. It does not apply to attempts to recover money or items lost outside of telemarketing. This prohibition does not cover debt collection services. In fact, debt collection services are not covered by the Rule in general, because they are not “conducted to induce the purchase of goods or services”— a prerequisite for Rule coverage as dictated by the Rule’s definition of “telemarketing.” Debt collectors must comply with the FTC’s Fair Debt Collection Practices Act. In advance-fee loan schemes, a telemarketer, in exchange for a fee paid in advance, promises to get a loan or a credit card for a consumer or represents a high likelihood of success in getting or arranging a loan or other extension of credit for a consumer, regardless of the consumer’s credit history or credit record. After the consumer pays the fee, he or she typically doesn’t receive the promised loan or other extension of credit. Advance-fee loans generally are marketed to consumers who have bad credit histories or difficulty getting credit for other reasons. The Rule prohibits sellers and telemarketers who guarantee or represent a high likelihood of success in obtaining or arranging a loan or other extension of credit from asking for or accepting payment until a consumer gets the extension of credit promised. This prohibition on advance fees for loans or other extensions of credit applies only if sellers and telemarketers guarantee or represent a high likelihood of success in obtaining or arranging for a loan or other extension of credit. Legitimate creditors may offer various extensions of credit through telemarketing and may require an application fee or appraisal fee in advance. There must be no guarantee or representation of a high likelihood that the consumer will obtain the extension of credit. This prohibition in the Rule does not apply to firm, “pre-approved” offers of credit by creditors who properly use a “pre-screened” list in accordance with the FTC staff commentary on the Fair Credit Reporting Act (FCRA). all verifiable authorizations or records of express informed consent or express agreement. Explanations of these categories follow. Sellers and telemarketers must keep at least one specimen copy of all substantially different advertising, brochures, telemarketing scripts, and promotional materials. It is not required to keep copies of documents that are virtually identical except for immaterial variations or minor alterations. Obviously, if no scripts or advertising or promotional materials are used in connection with the telemarketing activity, no materials need to be retained. The Rule requires sellers and telemarketers to maintain the name and last known address of each prize recipient, as well as the prize awarded, for all prizes represented to be worth at least $25. The value of a prize is determined by what you directly state or imply to a consumer. If you represent to a consumer, directly or by implication, that a prize is worth $25 or more, you must keep records about the prize recipients, even if the actual value of the prize is less than $25. On the other hand, when there are no direct or implied representations about the value of a prize, you must keep records for prizes that cost you $25 or more to purchase. The Rule requires sellers and telemarketers to maintain the following information about your sales: the name and last known address of each customer; the goods or services purchased; the date the goods or services were shipped or provided; and the amount the customer paid for the goods or services. Only records relating to actual sales need to be maintained; you are not required to keep records of all customer contacts when customers do not make a purchase. Consumer credit products: For offers of consumer credit products subject to the Truth in Lending Act (TILA) and Regulation Z, compliance with the recordkeeping requirements under those regulations is sufficient for compliance with the TSR recordkeeping requirement. Magazine sales: For the sale of magazines through a fulfillment house, where sellers and telemarketers do not know or have control over the dates of shipment, you may comply with the requirement to keep a record of the shipment date by keeping a record of the date the order was placed with the fulfillment house or the date that the service is to begin. Sellers and telemarketers must keep employee records for all current and former employees directly involved in telephone sales. These records include the name (and any fictitious name used), the last known home address and telephone number, and the job title(s) of each employee. If fictitious names are used by employees, the Rule requires that each fictitious name be traceable to a specific employee. Businesses must maintain up-to-date information on current employees and last-known information on former employees. Sellers and telemarketers are not required to update information on former employees. In addition, records of individuals not directly involved in telephone sales do not have to be kept for purposes of the Rule. Nevertheless, such information may be required under other state or federal laws. When the method of payment is not a credit card (subject to the protections of the Truth in Lending Act and Regulation Z), or a debit card (subject to the protections of the Electronic Fund Transfer Act and Regulation E), sellers and telemarketers must obtain a consumer’s express verifiable authorization before causing billing information to be submitted for payment. The Rule requires you to maintain a record of all verifiable authorizations that must be provided or received under the Rule. This requirement does not apply to conventional checks, written, signed, and mailed to you by the consumer, or to certain other methods, listed in the section on express verifiable authorization. Sellers and telemarketers should retain records of the verifiable authorization for each transaction, in any form, manner, or format consistent with the methods of authorization permitted under the Rule. For example, if you obtain a written authorization from the consumer, a copy of it must be maintained; if authorization is via audio recording, a copy of the recording must be maintained. While the recording may be retained in any format, it must include all the information that must be disclosed to the consumer, as well as the consumer’s oral authorization. If a consumer gives written confirmation, you must maintain all the information provided in the confirmation. For records of express informed consent and express agreement (required by the unauthorized billing provision of the Rule [Section 310.4(a)(6)] and the National Do Not Call Registry provision [Section 310.4(b)(1)(iii)(B)(i)]), you must create and maintain records of consent and agreement for each required transaction, and keep them in much the same way you keep such records in the ordinary course of business. The Rule is not intended to impose any new recordkeeping procedures on sellers and telemarketers. You may maintain the records in any manner, format, or place that you keep such records in the ordinary course of business, including in electronic storage, on microfiche, or on paper. dissolution or termination of the business of a seller or telemarketer, the principal of the business must maintain all records of the business. In the event of a sale, assignment, or other change in ownership of the seller or telemarketer’s business, the successor business must maintain the records. Does the Rule require that other information be maintained concerning the verifiable authorizations? No, but it is sound policy for sellers and telemarketers who use the written confirmation method of authorization for non-debit and credit card payments to maintain records showing that the confirmation was sent to the customer before the customer’s billing information was submitted for payment. In addition, you may want to keep records of any refunds you provide to consumers who claim that the written confirmation was inaccurate. If law enforcement authorities get consumer complaints about unauthorized billing, they may ask the seller or telemarketer to produce the information to show that the Rule requirements were followed. Who Can Enforce the Rule? The FTC, the states, and private citizens may bring civil actions in federal district courts to enforce the Rule. State attorneys general or any other officer authorized by the state to bring actions on behalf of its residents may bring actions by the states. Private citizens may bring an action to enforce the Rule if they have suffered $50,000 or more in actual damages. Anyone who violates the Rule is subject to civil penalties of up to $11,000 per violation. In addition, violators may be subject to nationwide injunctions that prohibit certain conduct, and may be required to pay redress to injured consumers. The FCC has information about the TCPA. These entities are: brokers, dealers, transfer agents, municipal securities dealers, municipal securities brokers, government securities brokers, and government securities dealers (as those terms are defined in Section 202(a)(11) of the Investment Advisers Act of 1940); and futures commission merchants, including brokers, commodity trading advisers, commodity pool operators, leverage transaction merchants, floor brokers, or floor traders (as those terms are defined in Section 6(1) of the Commodity Exchange Act). An investment opportunity is anything that is offered, offered for sale, sold, or traded based on representations about past, present, or future income, profit, or appreciation. Examples of investment opportunities include art, rare coins, oil and gas leases, precious or strategic metals, gemstones, or FCC license or spectrum lottery schemes. In addition, business ventures that are not covered by the FTC’s Franchise Rule are investment opportunities. State laws vary on permitting the recording of telephone conversations and the requirements to obtain consent of the recorded party. Consult an attorney for guidance on these issues.